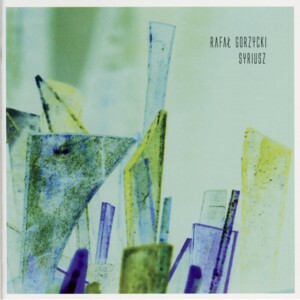 This is a solo album by Polish drummer / multi-instrumentalist / composer Rafal GorzyckiFind albums by this artist, one of the most proactive and prolific musicians on the local scene with a steady stream of excellent releases since the early 2000s, which represent some of the most interesting music created in Poland by the young generation of the country´s musicians. On this album Gorzycki faces his listeners as a soloist, playing a wide array of instruments and even reciting poetry written by Polish poet Krzysztof GruseFind albums by this artist. The album presents eighteen relatively short pieces, obviously parts of a continuous conceptual work. The music is quite different from Gorzycki´s earlier efforts, which were mostly associated with some degree of Jazz or Improvised Music. This time Gorzycki offers music which avoids categorization almost completely, and is conceptually closest to contemporary Classical Music, although it is atypical in many aspects. There is almost no melodic content as such, but rather a kaleidoscopic collection of fragments and allusions, which leaves it to the listener to collect the dots. The overall atmosphere the piece is alienated and creates a feeling of detachment and doom, somewhat similar to soundtracks of Avant-Garde movies, which present a hyper-reality floating in between worlds. Although the album´s artwork does not disclose any clues as to the composer´s intentions, the album´s title and its mythological connotations might support the idea that the ambience was deliberately set as such. As usual with Gorzycki´s projects, this music requires some serious investigation and attention on the listener´s part, both due to its complexity and uniqueness, surely more so that most other albums people come across. The intellectual challenge and the emotional effort might be strenuous at first, but are definitely worth persevering, as in time this music becomes absorbing and rewarding. It is good to see that some musicians are treating their music as a piece of Art rather than a commodity created for financial gain, and Gorzycki is definitely one of these Artists. Perhaps less immediately affable than his early works but definitely worth being discovered, this album is unquestionably a milestone in Gorzycki´s career, which seems to be in full swing with sky being the limit.